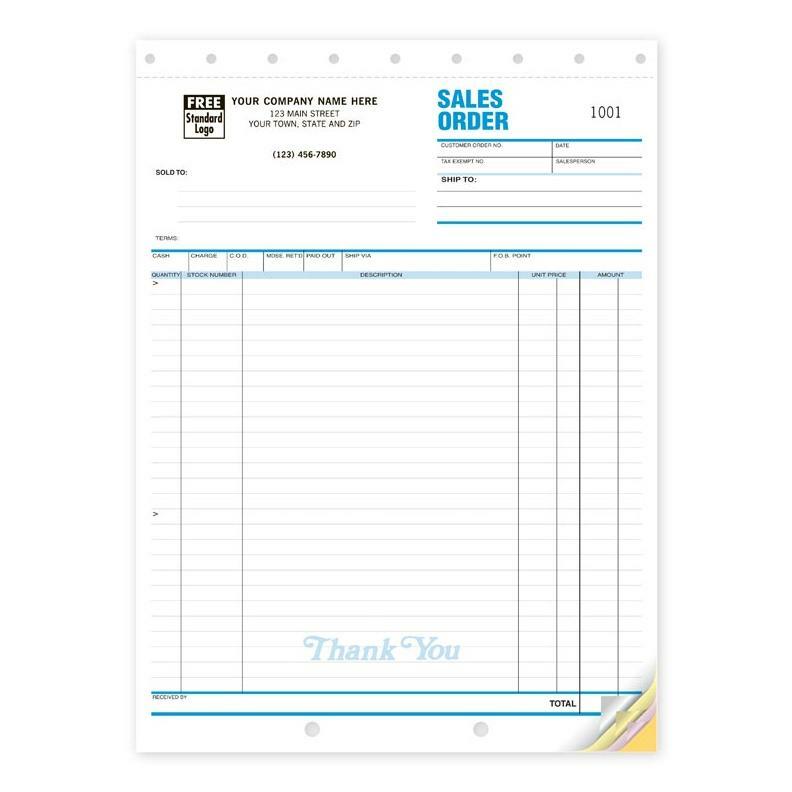 Size: 4 3/16" x 7"
These are a few examples that show the versatility of a Custom sales receipt book. 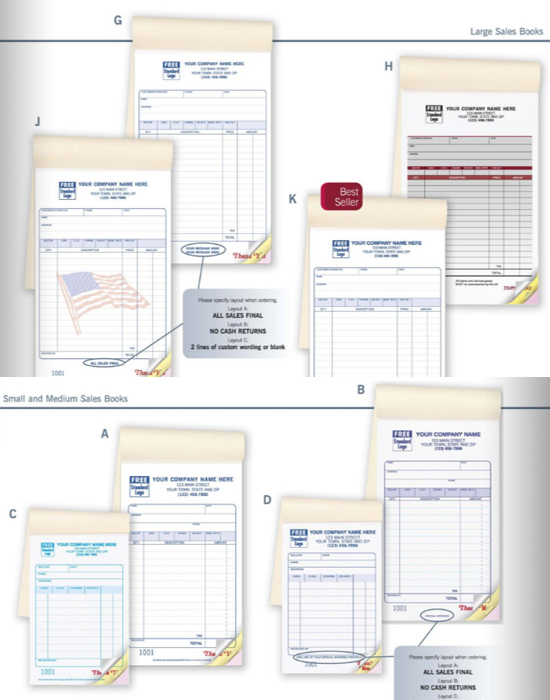 When Should I use Custom Receipt Books? 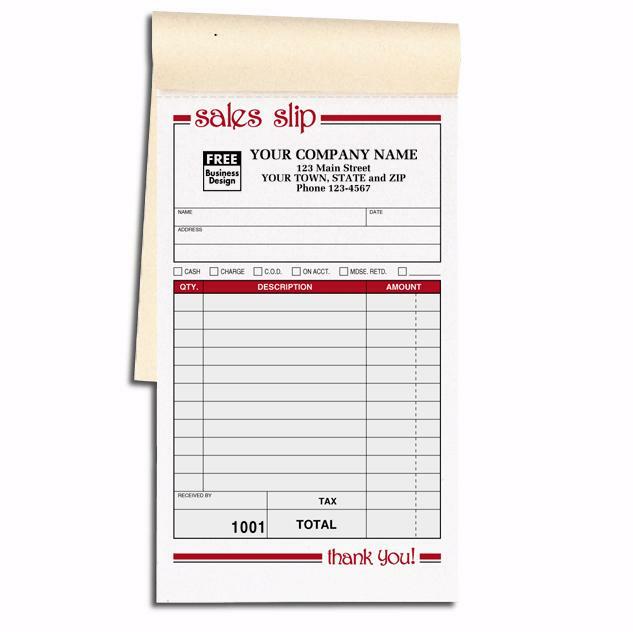 Custom receipt books can be used every time you make a sale of an item of service. It is used to record the details of the sale such the description of the item being, amount charged, the date, the purchaser's name, address, and other things related to the sale. They are made from carbonless or carbon copy paper, therefore the customer can get a copy and you retain one for your records. 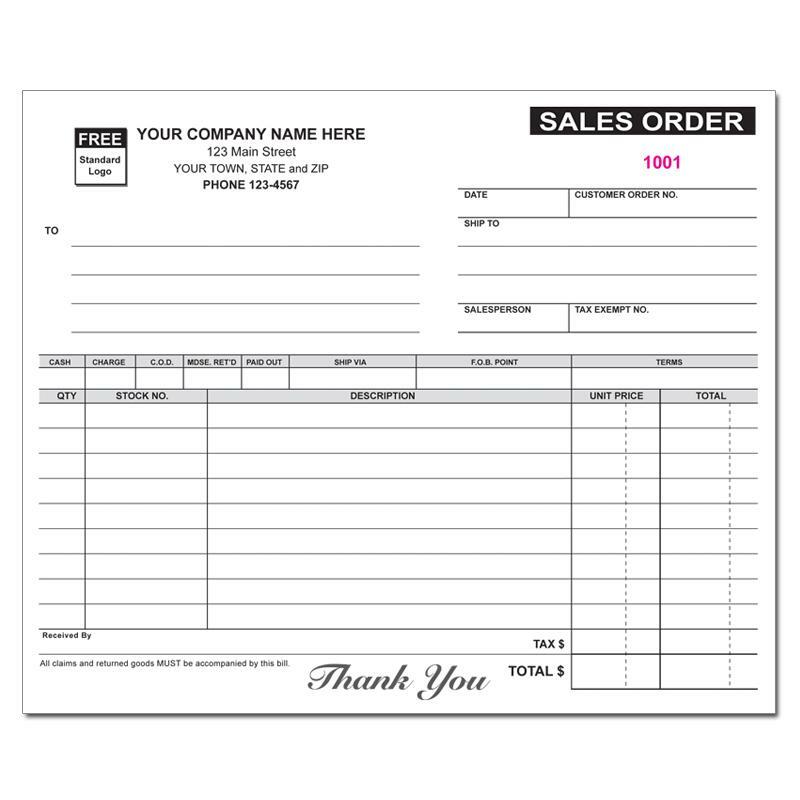 The invoices are printed and manufactured in a booklet form with 25 to 50 sets per book. You will have the option to select the number of parts, numbering, size, quantity, ink colors etc. 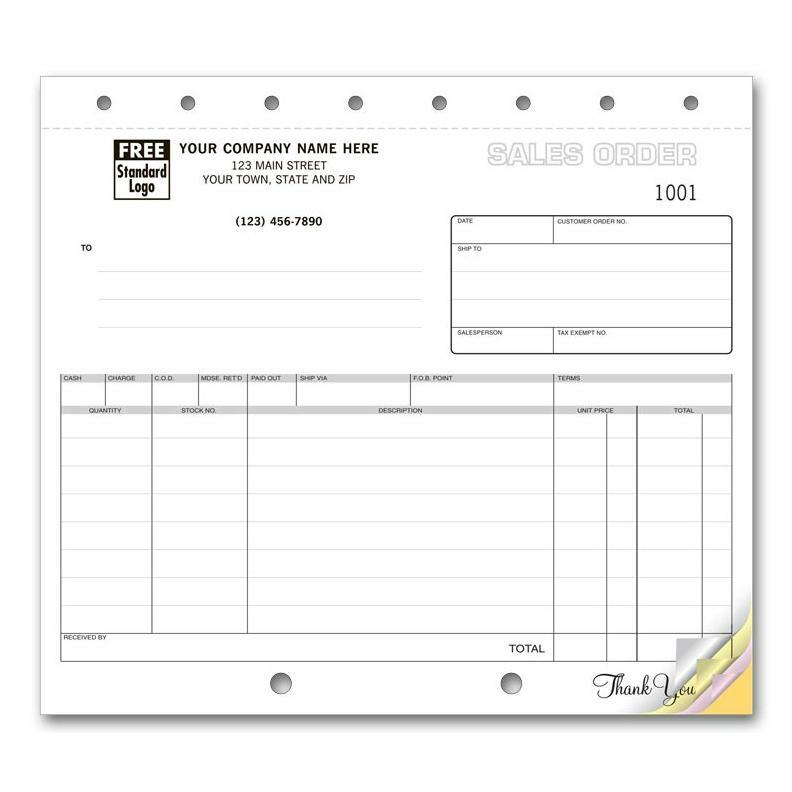 We offer a wide range of templates, so whether you are collecting rent, cash from sales or a regular retail store business, there is a receipt book or slip available. You can also request a price quote for a custom format. 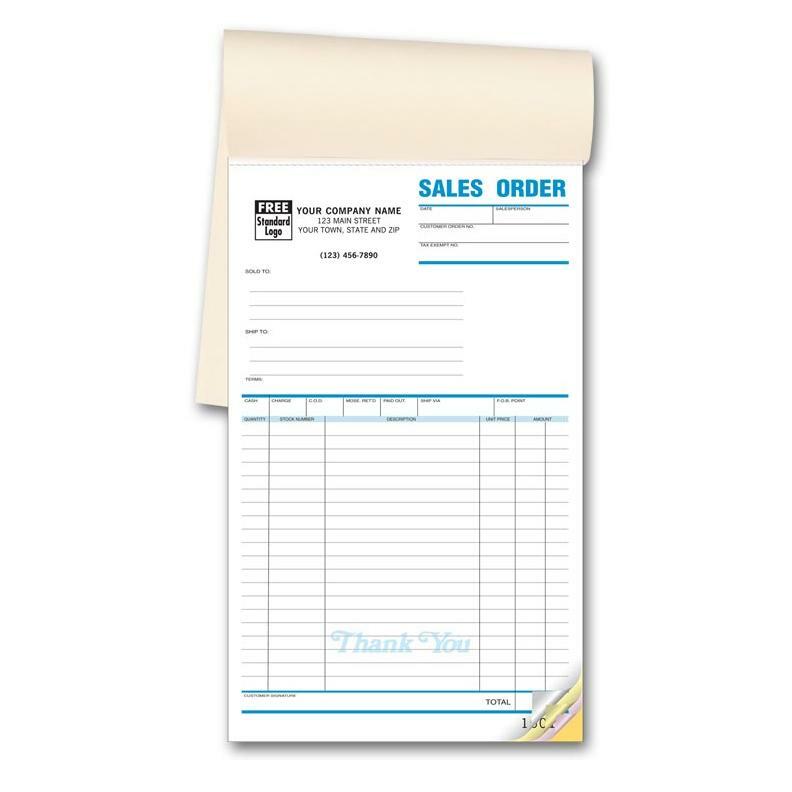 Personalization options include adding a logo, your business name, address, various ink colors, perforations, book size - large or small, consecutive numbering, number of receipt per book, 2 parts/duplicate, 3 parts/triplicate, 4 parts/Quadruplicate, etc. 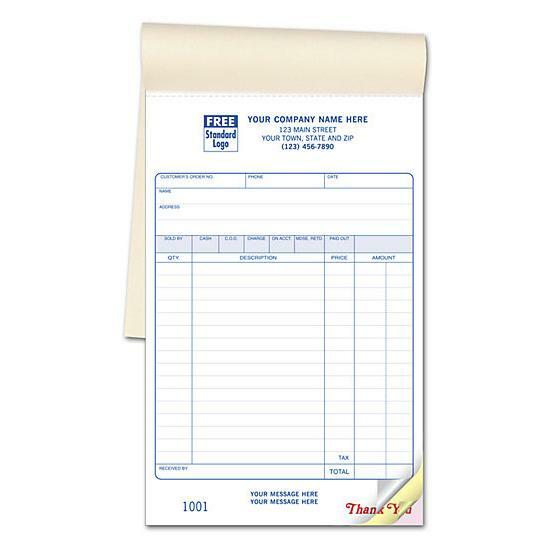 We can also print receipt books in full color.